As of just two years ago, millennials were making up to 73% of the purchasing decisions in B2B companies. That number has surely grown by now. So when it comes to your trade show display, are you doing everything you can to market to the Generation Y target audience? Learn why the kiosk is an essential component for any millennial-optimized exhibit. Kiosks have always been an exhibitor favorite. They work independently, delivering a consistent sales message to booth visitors while quietly curating sales leads and prospects. And unlike their human counterparts, kiosks never need to step away from the booth to grab a cup of coffee. But given the rise in the number of millennials calling the shots in purchasing decisions, interactive kiosks have become even more desirable today. Here’s why. Millennials use technology to connect. Millennials tend to prefer device-based communication over face-to-face interaction. Not because they’re shy, mind you. It’s actually because most millennials view technology as a way to build relationships more quickly. Exhibitors can capitalize on Gen Y’s need for connection and community by using mobile event apps and including a live social media feed on a big screen as part of their exhibit. Using your kiosk to present a live social media feed gives attendees a sense of community. Millennials want instant gratification … and answers. A tablet-based product catalog can go a long way toward satisfying a millennial’s need for information FAST. Besides providing basic product specs, a good product catalog also serves up demonstration videos, customer testimonials, side-by-side comparisons, and expanded or 3D product views — all from a space-saving workstation kiosk. Help prospects get the immediate answers they’re looking for by adding a tablet kiosk to your display. Millennials are fearless tech users. The average millennial owns nearly eight devices and uses at least three of those devices every single day. Members of Generation Y basically grew up surrounded by gadgets, so they’re not afraid to try something new. To impress this audience, you have to be able to show that your company embraces the latest tech. Consider adding an interactive LED touch screen kiosk to your exhibit to gain traction with millennial business prospects. This LED touch screen kiosk from Ideum is lighter-weight, making it ideal for temporary exhibits. Studies indicate that when researching potential new vendors and service providers, millennials prefer video-based content over long whitepapers, infographics or even webinars. They also spend time reading reviews and comments about businesses on social media. Take advantage of these preferences by incorporating a looping video presentation into your display and specifically include, for example, answers to the top 10 most frequently asked questions about your product or service, as well as screenshots of recent social media reviews. In this way, your multimedia kiosk acts as a pre-sales tool, connecting with millennials in a mode that resonates with them. Offering video-based education is easy when you incorporate a slim presentation kiosk into your booth. Millennials crave attention and recognition. To keep trade show attendees from wandering off — and to build a little social media buzz around your event as a bonus — try adding a photo-booth kiosk or a themed photo stand-in cutout kiosk. Funny photo stand-in kiosks like these from Shindigz can generate social media buzz around your event. Your kiosk has done its job. Now it’s your turn. Every generation, millennials included, appreciate personal follow-up and attention after a show. And in an immediate-gratification world, any delay in post-event follow-up can be a deal breaker. 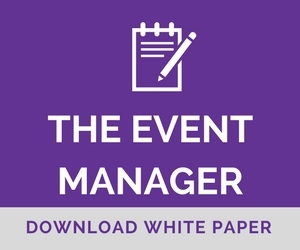 Before your next show, be sure to have a follow-up plan in place with your sales team. You should follow up within 24-48 hours after the event. And as we discussed in a previous blog post, it’s important not to give up too soon. LeadSimple reports that 80% of salespeople give up after the third contact attempt, but that 50% of sales actually occur after the fifth contact. So keep at it!